The Samaritans Presentation for 3rd and 6th year students. Home » News » The Samaritans Presentation for 3rd and 6th year students. 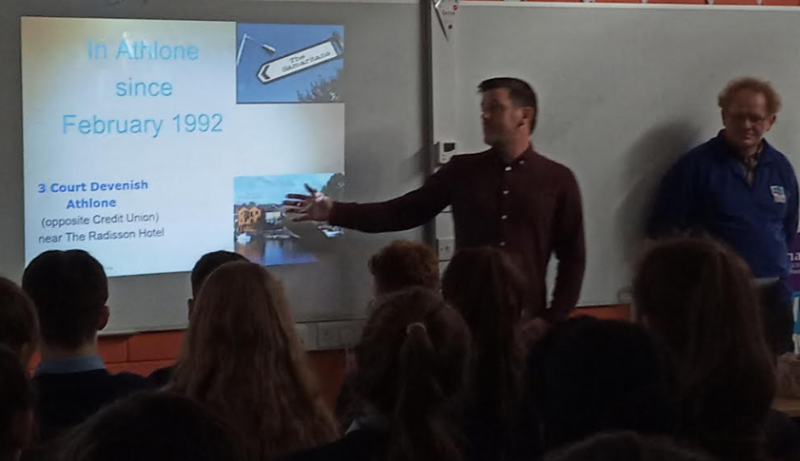 On Wednesday, Jason Dowling from The Samaritans, alongside Tony Hickey, provided an excellent talk to 3rd and 6th year students on the work and role of the Samaritans and promoting awareness of mental health issues. This was an excellent presentation, highlighting the importance of reaching out for help where it’s needed, and also being mindful of looking out for others.